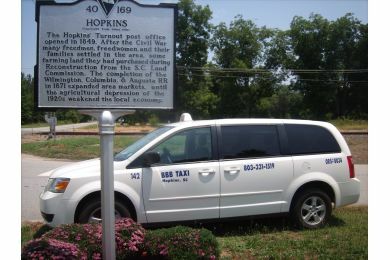 Offering van capacity and 24/7 service, BBB Taxi (and courier) can accommodate all your transportation needs. Based in Hopkins, SC. Special rates are offered for those needing transportation to or from other cities to include Charlotte, Augusta, Charleston and Atlanta. In addition to general taxi service, we also provide courier and errand services. This is a veteran owned company and, we are proud to say, special rates are given to military personnel.